In Uganda, most of the population lives and works rurally – may lack literacy skills. How – and what – can these famers gain from an internet connection? A training session in Kenya. Published with permission from the Maendeleo Foundation. 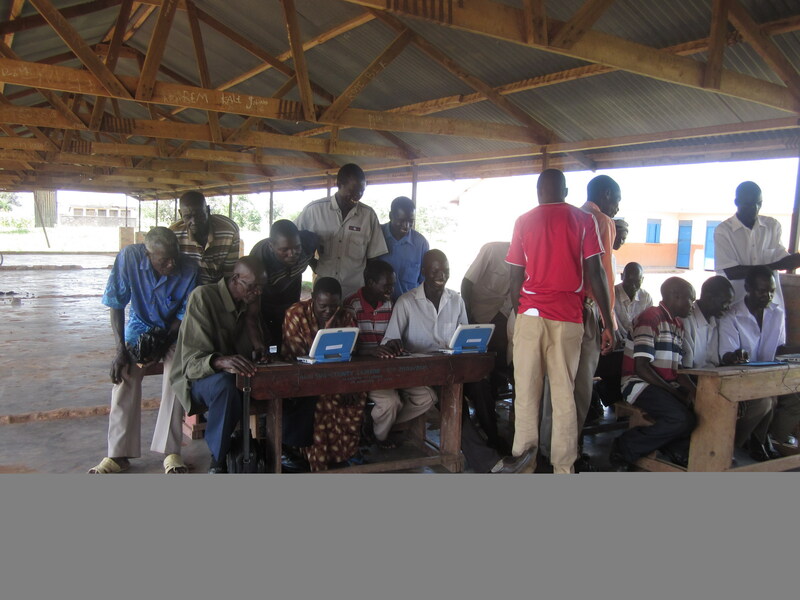 The Connect Uganda Project organises with community libraries to link farmers with agricultural information available online. They install solar panels to power android-based tablets to access the Internet in remote locations, and train librarians and community members in computer skills and information access. As 95% of farmers are illiterate (according to the Maendeleo Foundation), librarians also play an important role in reading – and in translating into local languages. Published with permission from the Maendeleo Foundation. For government extension workers it can be difficult and expensive to access remote communities. The Connect Uganda Project fills this gap of agricultural education, helping farmers to learn about new possibilities for their farms; some have begun growing new crops, such as the trees Sesbania, Calliandra, and Leuceana. With more information available on market prices and farming methods, famers are better placed to make informed decisions on which crops, practices, and markets to adopt for increased profitability. The project operates in five districts of Uganda: Buikwe, Arua, Namutumba, Kasese and Alebtong and is organised by the Maendeleo Foundation. The organisation, whose name means “progress” in Swahili, is committed to helping to build a network of Ugandans connected through the Internet. 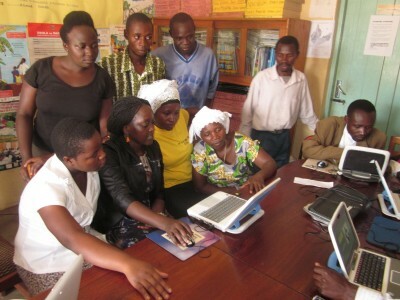 The Connect Uganda project was supported by EIFL, an NGO focused on enabling access to knowledge in developing countries, in collaboration with local libraries. You can follow the work of the Connect Uganda project on the Maendeleo Foundation facebook page.